Hustle and flow - the grand stair is scaled for activity, while white boards and lounges provide opportunities spontaneous collaboration. Conference rooms featuring "belly bands" of the worlds' forests align Main Street, a white epoxy path on exposed concrete defining primary from secondary circulation. Creating places for people, this area reveals exposed structures and real time internet searches on five screens. 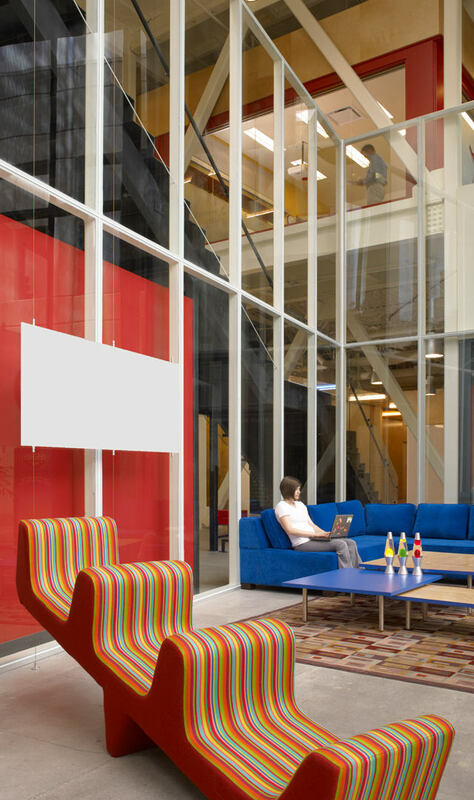 The main entry for staff and guest embodies the quirky spirit of this large tech company's culture. This technology workplace responds to the complex needs of a diverse user group, and delivers flexibility to support evolving team size and activities over time. 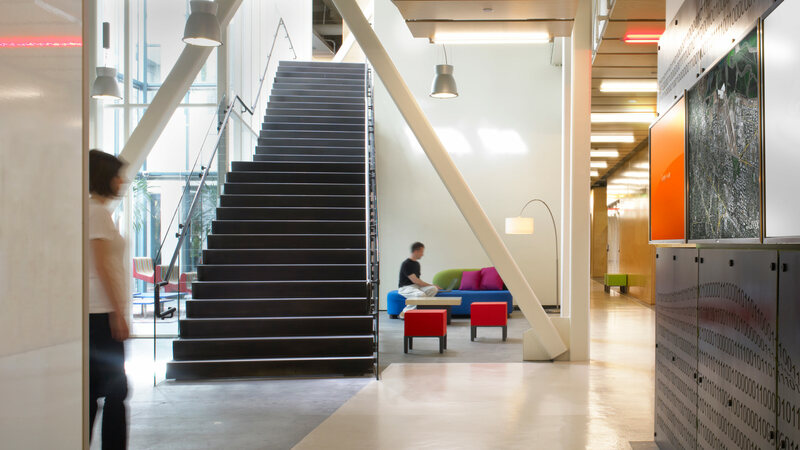 Spaces are carefully tuned to accommodate focus, learning, social and collaborative work styles. Adjustable furnishings allow a variety of work postures, supporting individual choice and comfort. Adapting a 1980’s-era office building into a high performing workplace for a leading technology company required a number of strategic interventions. New skylights and windows transform the space through increased natural daylight. Updated HVAC, lighting and control systems utilize the latest, and most efficient technologies. 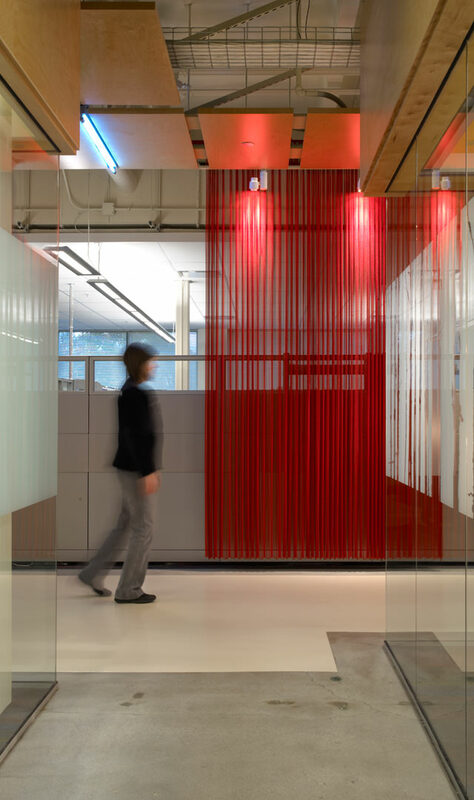 Strict adherence to non-toxic, low-VOC standards promotes employee wellness and performance.